In this issue, we get personal with a PI, talk to a student, and look into some fun recreational activities. Plus: we check out the eclipse, tell you about a bunch of new research studies, and share some news from our partners. 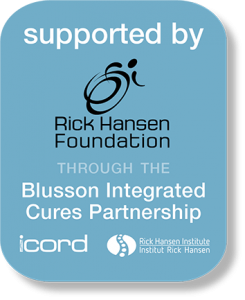 The Blusson Integrated Cures Partnership was formed with the goal of creating innovative solutions for improving outcomes and the quality of life for people living with spinal cord injury. The Best and Brightest Strategy is the one way the BICP is achieving this by identifying and supporting the next generation of researchers who will help reach this goal. In 2014, Drs. 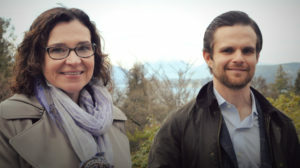 John Kramer and Christopher West, after holding postdoctoral positions at ICORD, joined UBC’s School of Kinesiology as Assistant Professors and became Principal Investigators at ICORD. This issue, we will give you an update on the progress of Dr. Kramer, and we will profile some of the exciting work of Dr. West’s team in the next edition of the ICORDian. Since joining ICORD as a Principal Investigator with support from the BICP in 2014, Dr. Kramer’s lab has grown to 12 members, all exploring various aspects of neuropathic pain and recovery after SCI. One area in which Dr. Kramer is quickly emerging as a leader is drug repositioning for SCI. His group is primarily focused on the long-term effects that pain medications have on neurological recovery. This research program has attracted funding form numerous international bodies, including Wings for Life and the International Foundation for Research in Parapelgia, creating strong global research relationships. Dr. Kramer with his lab. The Natural Sciences and Engineering Research Council of Canada (NSERC) funded his lab’s acquisition of a laser stimulator for the study of nociception, or the sensory system’s reaction to painful stimuli. This will be used as part of his NSERC Discovery Grant research on how people “turn up and turn down” pain. 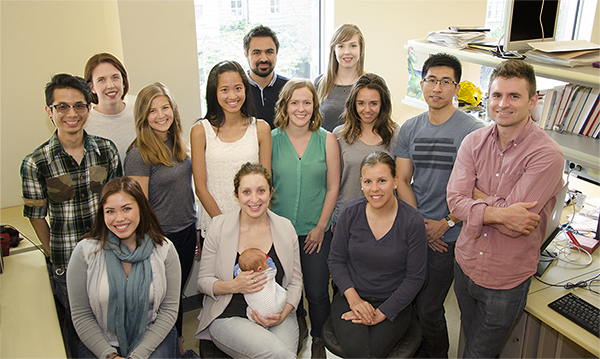 As the Kramer lab has grown with this support, it has attracted fourteen trainees from across Canada and from around the world. Dr. Kramer has a particularly strong connection with Switzerland’s SCI research community, where former ICORD PI Dr. Armin Curt is based. One postdoctoral fellows and three graduate students from Switzerland have joined the Kramer lab, three of them winning research and academic awards for their work. The BICP funding that has helped Dr. Kramer establish a lively and encouraging environment for up-and-coming scientists, which has led to exciting research and multidisciplinary collaborations all geared towards improving the quality of life for people living with SCI. In collaboration with Canadian and British colleagues, ICORD Principal Investigators Drs. Kathleen Martin Ginis and Christopher West published an important paper in Neurology last month. The paper, “Effects of exercise on fitness and health of adults with spinal cord injury,” is a systematic review of all exercise interventions that have included measures of fitness, cardiometabolic health, or bone health outcomes. In addition to synthesizing and appraising evidence regarding the outcomes of the 211 reviewed studies, the authors also synthesized and appraised the evidence regarding the specific exercise prescriptions that produced those outcomes. Results of this review were subsequently used to update the SCI Physical Activity Guidelines and to formulate new SCI exercise guidelines to improve cardiometabolic health. The new guidelines will be presented in a forthcoming publication. ICORD PI Dr. Tania Lam was on hand on August 9 when the Vancouver Park Board launched a pilot program at English Bay Beach bathhouse to allow people in wheelchairs, scooters or walkers to get closer to the water with the installation of the new Mobi-Mat, a non-slip beach access pathway. The Mobi-Mat has been installed just above the tide line at English Bay and will be removed in the fall. If successful, more mats will be installed at other beaches in 2018. 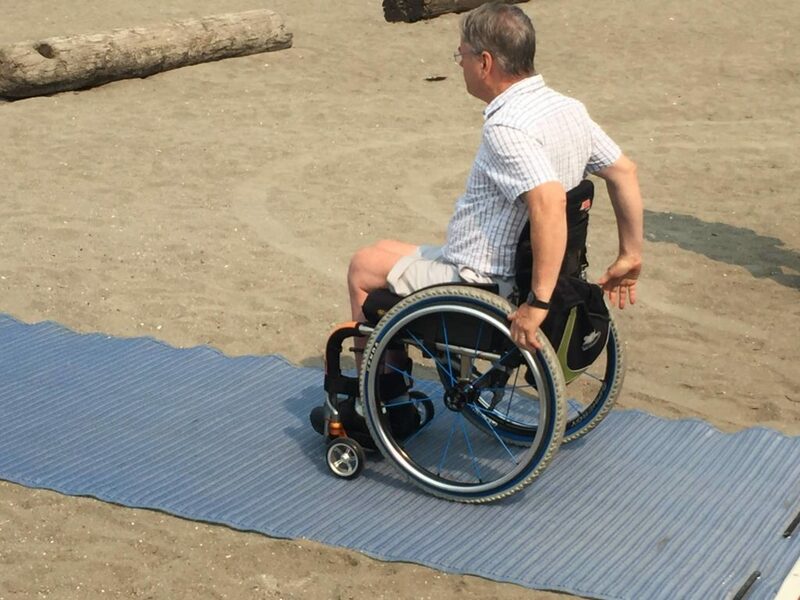 “I’m very happy to see how the Park Board is working to open up more areas of our city to people with disabilities, and the new Mobi-mat at one of our city’s most popular beaches is another great example of showcasing Vancouver’s accessibility. One of the best things about living in Vancouver is our closeness to nature and the multitude of outdoor recreational activities that affords, and making this accessible to all is so important for everyone’s quality of life,” said Dr. Lam following the event. In addition to beach mats, the Park Board has two beach wheelchairs with inflatable tires that can roll on sand. More chairs will be added next year. The chairs, which require an attendant to push, can be used at most city beaches. Click here for more information about Vancouver’s accessible beaches. PARC regular Jacques Courteau tested out the Mobi-Mat during the launch event. Drs. 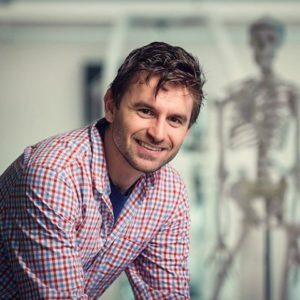 Andrei Krassioukov, Brian Kwon, David Granville, and Aziz Ghahary, have received Innovation to Commercialization (I2C) grants from the Michael Smith Foundation for Health Research. This funding is designed to support translational researchers in the health and health services sectors — to advance their discoveries or inventions towards commercialization resulting in products or technologies that improve health outcomes, and enrich the health innovation ecosystem of BC. Click here to read more about their exciting projects! 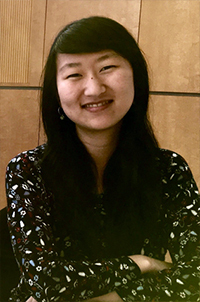 This is the second summer that Lisa Liu has been with ICORD as a UBC Work Learn student. 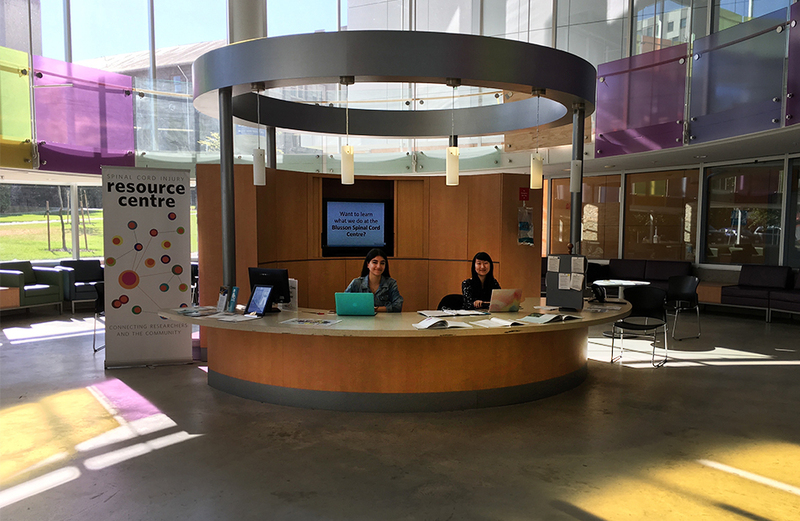 You might have met her if you’ve stopped at our Community Resource Centre in the atrium of the Blusson Spinal Cord Centre. We’re happy to confirm that she’ll be staying on in her Work Learn job during the coming academic year. She recently chatted with Simon Liem about her summer job, and plans for the future. Simon: What are you studying? What program are you in? Lisa: I’m an undergraduate studying biology at UBC. How did you find out about the ICORD Resource Centre? A family member told me about the resource centre. What have you learned since you started working at ICORD? I’ve learned so much more about the research process and I’ve seen firsthand how difficult it can be. Everyone is so passionate about what they do and they keep on persevering despite the many challenges they face. It’s also amazing how multi-disciplinary ICORD is! There are so many different areas of SCI research happening here with people from very diverse backgrounds. What do you think is most important about the Resource Centre? I think it’s a great hub to connect the research that happens at ICORD to the SCI community and even to the general public. For instance, our volunteers are trained to be familiar with the currently recruiting research studies and do their best to explain and find a suitable study for interested participants/visitors. We also have a large variety of SCI-related books for people to browse through on display at the desk. What projects are you currently working on at the Resource Centre? We are currently working on updating the study ads posted on bulletin boards near the rear entrance and on the third floor, as well as making mini versions for the rotating display at the desk. Are there any projects you want to undertake in the next year? One of our long-term goals is to increase the traffic towards our blog. 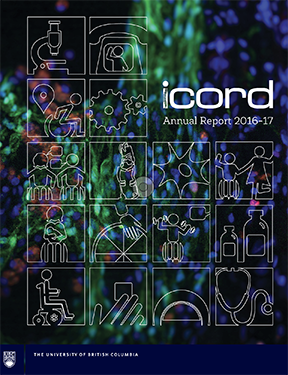 We plan on having printed booklets of a variety of lay summaries from the blog at the desk for people in the SCI community, visitors, and anyone who is interested in reading about new research from ICORD. What should people know about the Resource Centre? We have a blog called SCInfo where volunteers post lay summaries of recently published research articles. We’re also trying to introduce some variety into our posts, so keep an eye out for new and exciting stuff coming soon! Thanks Lisa! Good luck in the upcoming school year! Want to know more about what we did last year? You can download a copy of our Annual Report here. 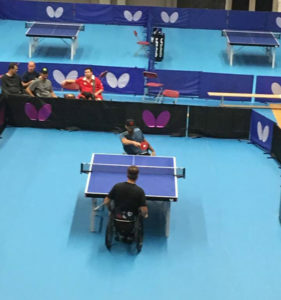 Five PARC participants took part in the 2017 Butterfly Canadian Para Championships in Table Tennis, giving a good showing as representatives for ICORD and British Columbia. Kyle Gieni, Paul Finkbeiner, Peter Isherwood, Ryan Switzer, and JF Sylvestre traveled to Markham, Ontario, in July to compete against players from around the country in the singles and doubles events. Paul had an exciting match against Steven Dunn from Nova Scotia, coming back from a two-game deficit by winning three in a row. At the end of the two-day tournament, the ICORDians on the podium were JF with a bronze medal in the singles division and Paul with a bronze as part of doubles team from Ontario. The team is looking forward to improving their performance at future tournaments. “Next year we will be prepared as this was just all of our first time to Table Tennis Nationals,” says Kyle. Want to come and play table tennis at PARC? Contact us for info! 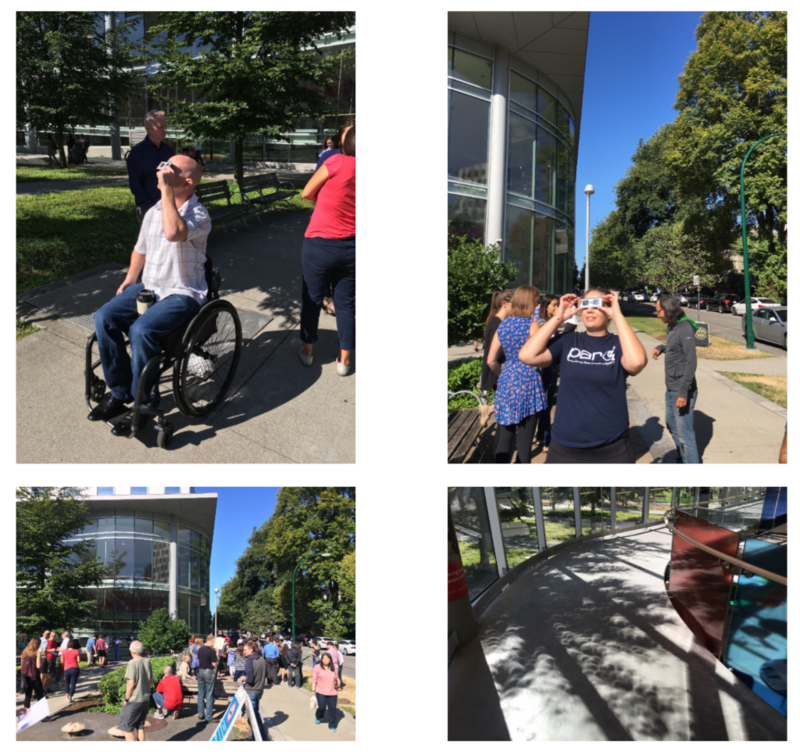 On August 21, a big crowd of excited eclipse-watchers gathered outside the Blusson Spinal Cord Centre to experience this once-in-a-long-time (in Vancouver) happening. Hopefully we’ll have another beautiful sunny day when the next one happens! The International Spinal Cord Society (ISCoS) has proclaimed September 5 as World SCI Day. Check out the official ISCoS web site here. Consider sharing this image on your social media feed on September 5. Spinal Cord Injury BC (formerly BC Paraplegic Association) turns 60 this year and celebrating with the next issue of The Spin, our magazine and guide to technology, health, mobility, travel, research and living well with SCI. Make sure to join in the memories and celebration when this issue hits doorsteps, clinics, offices (and your desktop!) in September. Want to receive The Spin? Email info@sci-bc.ca. Join Steve Milum of ChairStuff and SCI BC for CycleMeet, a cycling event for everyone! 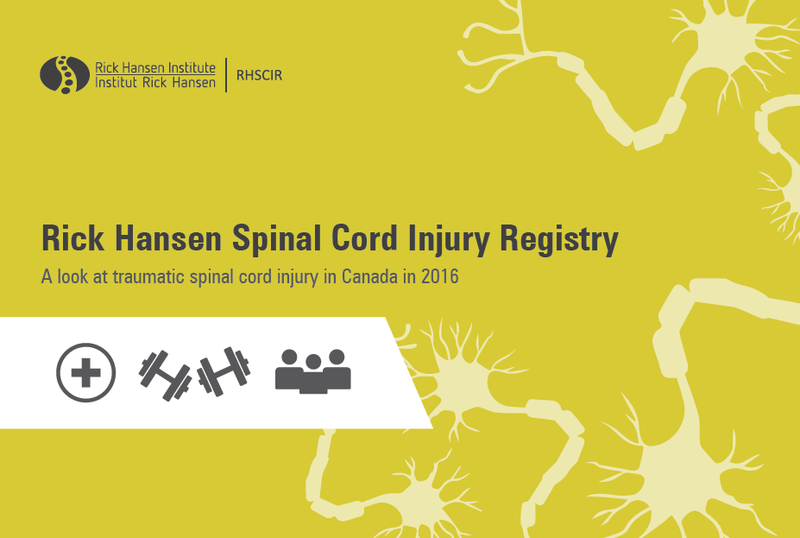 Rick Hansen SCI Registry 2016 Report is now available! 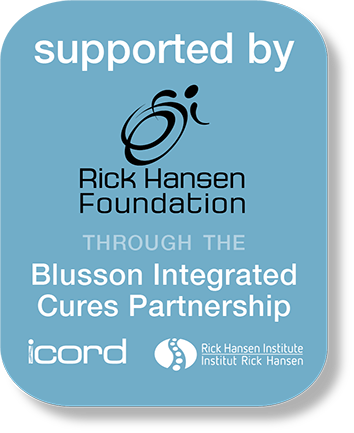 The Rick Hansen SCI Registry (RHSCIR) is a prospective observational study on individuals sustaining a traumatic spinal cord injury (SCI). With 31 participating acute and rehabilitation hospitals in major Canadian cities, RHSCIR includes more than 6,000 participants making it the largest Canadian database that tracks the experiences of individuals living with traumatic spinal cord injury. In recent years, RHSCIR has expanded to China, New Zealand and Israel, making it a truly global study that connects the international SCI community. RHSCIR links clinicians, researchers, and health care administrators with the goal of improving both research and clinical practice for individuals with SCI. It helps to facilitate the translation of research into clinical practice and to promote evidence-based practices. The RHSCIR team has just released the 2016 Report which is a detailed look at some of the clinical and demographic data obtained from RHSCIR in 2016. 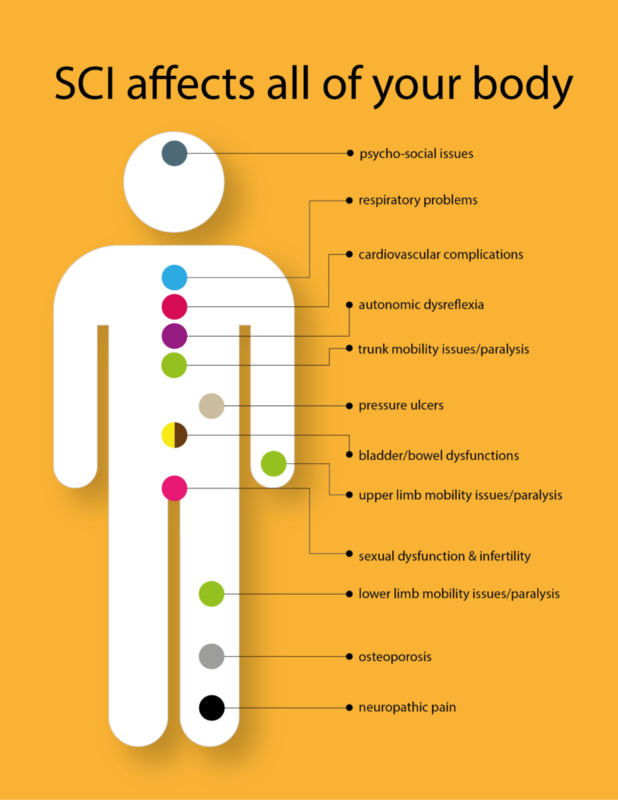 The report outlines observed trends in the traumatic spinal cord injury population like the age distributions, level and mechanism of injury, where people go after injury to receive treatment, the duration of their hospital stay, and secondary complication information. You can view the report online. To request hard copies, please contact RHSCIR@rickhanseninstitute.org. 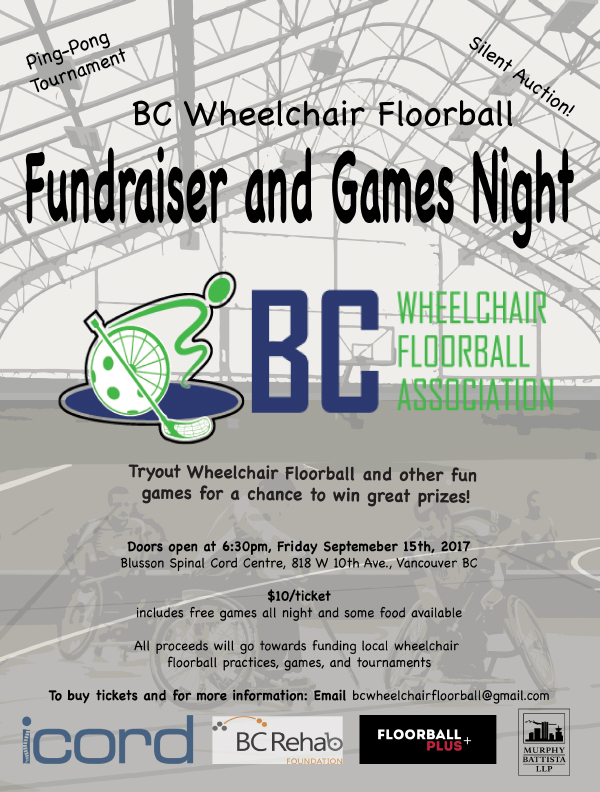 BC Wheelchair Floorball is having a fundraiser night! Blusson Spinal Cord Centre, 818 W. 10th Ave. Try wheelchair floorball, take part in a pingpong tournament, bid on the silent auction, win prizes, enjoy some refreshments. All proceeds support local wheelchair floorball practices, games, and tournaments. 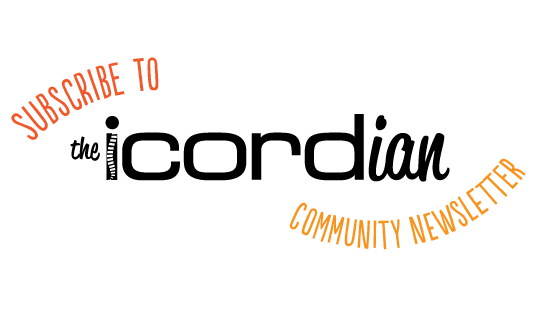 Thanks for reading this issue of the ICORDian – we hope you enjoyed it! Please subscribe and have future issues delivered to your email box. If you have any comments about this issue or suggestions for future ones, please contact us.